You have to make a special speech . . . there's no way around it. All of us at some point attend events that call for speeches or toasts. Perhaps Aunt Betty is having a 90th birthday bash or your colleague Jim is retiring after 20 years with the company. Celebrations for relatives, co-workers or friends require special remarks by those closest to them. And if that person is you -- and you are not used to public speaking -- you have come to the right place for help. Start planning now for the right words to say at that upcoming wedding, retirement party, anniversary celebration or milestone birthday. Your close relationship with the honored guest means that people will expect you to say something about the honoree. They will also want you to be entertaining, engaging and tell them something about the person that they don't already know. This site can help you develop a speech or toast that will be unique to the person being honored as well as appropriate for the special occasion. Make no mistake: getting up in front of a group of people who have high expectations is not an easy task.. The thought of saying a few words to a celebratory gathering - especially when those people are family, friends and business colleagues -- may terrify you. It's only natural to feel nervous. In fact, having a phobia about public speaking is so common that some surveys list it as the top fear many people have. You want to make the honored person feel good. You want whatever you say to make you look good. A toast can be as short as two lines or as long as two minutes. A speech for most celebrations can be as long as five or six minutes and requires a dynamic opening and closing punctuated by some interesting tidbits about the person that reveals what makes him or her special to you. With a little guidance, you can say the right words when the occasion demands that you say something memorable, classy and unique. I have suggestions that can help you tell others how you feel about the honored person in a way that accomplishes your goals. Please check back often for tips on making special speeches, toasts and other types of presentations. 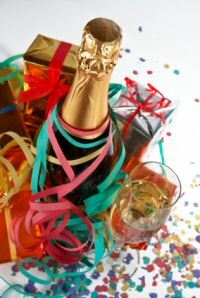 Birthday toasts and speeches are often funny and sometimes sentimental When honoring seniors citizens birthday speeches pay tribute to their long life and wisdom and express the admiration of their friends and family. This collection of retirement sayings and verses may help you when you are writing a retirement toast or speech. Tributes are special speeches that honor someone for what they have done or meant to others. Tributes may be in the form of speeches, written citations or roasts. Wedding toasts and how to plan who gives the toast at what time. &lt;Make a tribute to Mother with one of these quotes or toasts that recognizes what a special woman Mom is. These handy toast tips give help you prepare for your special occasion toast. Here is checklist for speakers that you can use to analyze your speech as you prepare for your next presentation. These resources for speakers will help you polish your presentation so that your message will be memorable. Business presentations -- whether spoken or written -- can have a major impact on your career. Father of the Bride toasts may be humorous or sentimental. Here are some samples. You need not fear making toasts and speeches. Copyright 2008-2019 by SpecialSpeeches.com Helping you shine when the spotlight is on you.